Sorry no Friday Five. 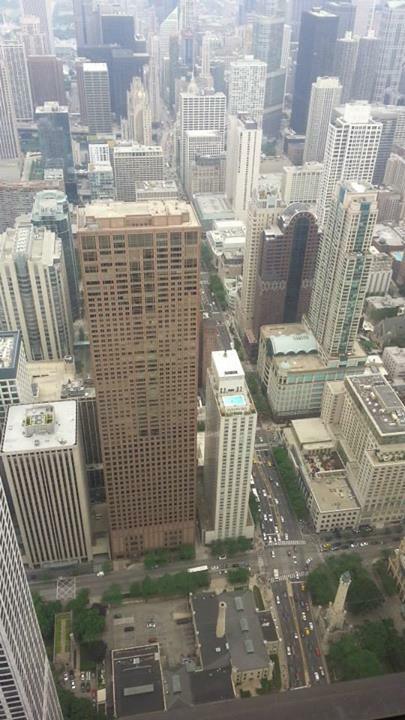 I was off enjoying the sights of Chicago! It's been a lot of traveling and insanity getting back into normal life again. But the good news is most everything is done now and my life will be a lot calmer for awhile. And I can focus on training rides for my 50 mile bike ride next month. ACK!! I'm slowing running out of time on that! So we hit Chicago this past weekend to visit some friends and see the city. I've never been, except the airport and driving through it very quickly late at night. So it was really fun to finally experience the city. I got to see one of my all time favorite paintings live and in person, finally!!! 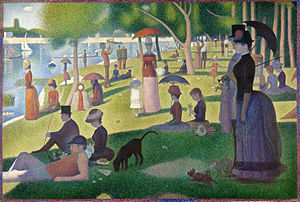 A Sunday Afternoon on the Island of La Grande Jatte by Seurat. I have a massive print of it in my living room. I knew it was a lot bigger in person, but it still kinda floored me. I literally got chills seeing it. 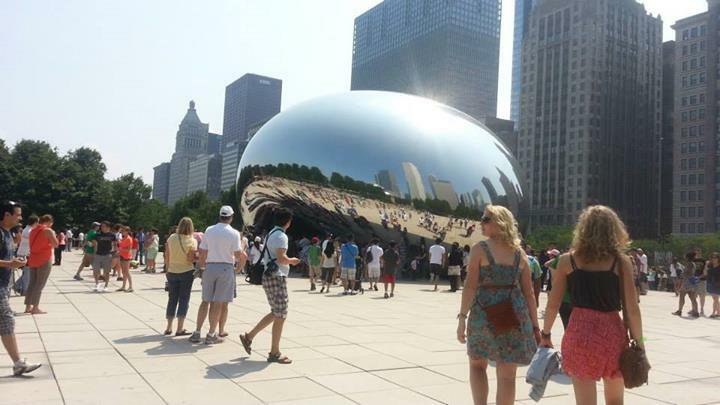 Of course we saw the Bean, you can't not see the Bean! Because reasons. We went to a bar that's 96 stories up. Weird as it is, I think my favorite part was the trains. It's a novelty to me to have really good public transportation since ours is absolute crap. I hate driving, I would give anything to never have to drive again and be able to get around. All in all we had a great trip, albeit very quick. We tried to do way too much in a short period of time and it was a bit overwhelming for me. Honestly, the entire city was a bit overwhelming at times for a serious introvert like me. I had to really focus myself through a couple panic attacks. There's just people EVERYWHERE and it got very claustrophobic very quickly. There's just no break from all the people and all the noise. I do want to go back though for sure. I hope everyone had a wonderful and safe holiday weekend! Much love!! Oh how wonderful! I love that painting as well!!!! Sorry you felt sick on your vacation though!